A January ISM report on manufacturing and the overall state of the economy caused a sharp reaction on Wall Street, resulting in a steep drop in the stock market, The ISM’s new orders index for the manufacturing sector fell by 13.2 points, reaching 51.2 points in January, the steepest tumble since December, 1980. The JP Morgan Global Manufacturing PMI showed a small decline in January, going from 53.0 points in December to 52.9 points in January. However, anything above 50 points is a good indicator of an expanding market, albeit at a slow pace. The PMI reflects industrial production around the world, so all in all, worldwide markets appear to be in good shape. 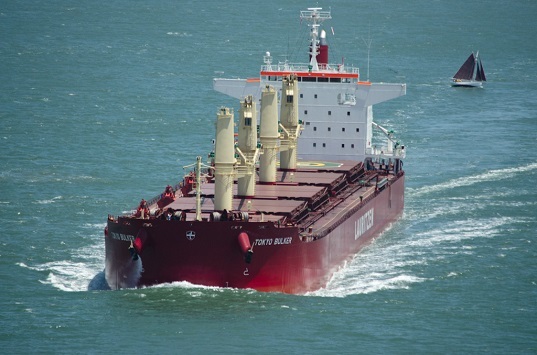 A lackluster performance in the dry bulk shipping market in the early quarters of 2013 precipitated a gloomy forecast by the International Monetary Fund (IMF). Now, many predict that a significant improvement in the final quarter of the year is expected to produce a much more optimistic forecast for global growth from IMF economists. For instance, the South African coal shipping market strengthened considerably. A record of 70 million tons of coal was shipped out of Richards Bay Coal Terminal, topping 2012 shipments of 68.3 million tons. Australia’s iron ore shipments finished out the year at 317.9 million tons, up considerably from 2012’s total of 249.7 million tons.